Mark Cheng recently wrote to our Principal Anna Correa who has graciously shared his letter of fascination reminiscing. The annual alumni reunion of St. Stanislaus Ex-students Association "Bond of Boys" was held on the school background on 6th January 2017. Over 150 alumni who attended with their families were treated to an evening of fun, dance and games by host Darryl Loyola. Grown men became boys again as they met their batchmates and teachers. A sumptious dinner completed an evening to remember. At Brighton, England there is a memorial "Chhatri Memorial" erected to the memory of Indian soldiers who were killed on the Western Front during WW1 (1914-18). The memorial known as the Chhatri was designed by Stanislite Mr. Elias Henriques of Bandra and erected in 1921, over the platform where Hindu and Sikh soldiers evacuated from the Front and who died in Brighton hospitals, were cremated. 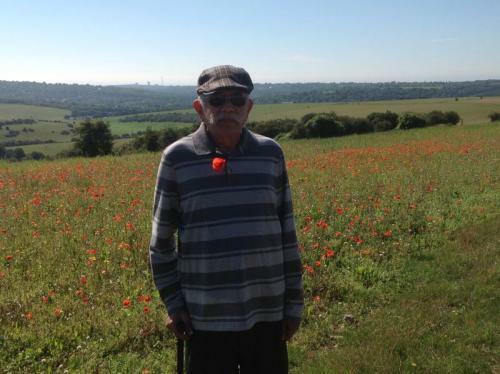 1.5 million Indian soldiers fought in WW1 and 12,000 wounded were evacuated to Brighton. 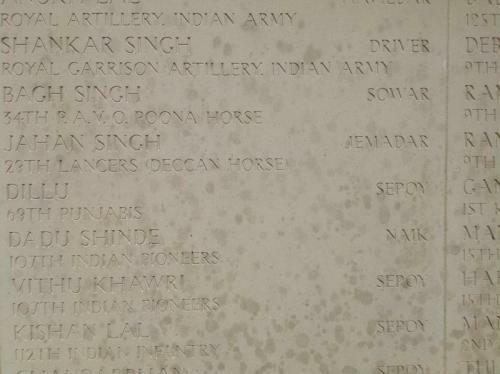 One of the Indians mentioned on the memorial is Jemadar Jahan Singh of the Poona Horse, who led the only Cavalry charge of the Battle of the Somme on the evening of July 14, 1916. Lt. Beatle a British officer says "it was an incredible sight, an unbelievable sight,they galloped on their chargers up the slope with their lances and pennants flying" straight towards the well entrenched German machine gunners and riflemen. "It was an absolute rout. A magnificent sight. Tragic". NOT A MAN SURVIVED. Seeing the red poppies in the fields, reminded me of these brave men who laid down their lives in the line of duty. "THEIRS NOT TO REASON WHY, THEIRS BUT TO DO AND DIE." SSESA Independence Day Football 2016. Nine teams of Jesuit alumni from six Jesuit Institutions from across the Jesuit Bombay province participated in the SSESA Independence Day 2016 Football hosted at St.Stanislaus High School Bandra. St. Mary's SSC the eventual winners beat St. Xavier's College Mumbai "B" 1-0 in a very close final. St. Marys's ICSE displayed outstanding sporting spirit from a winning position that needs to be commended. Fr. Peter Ribes S.J. (April 18, 1925 - May 9, 2016) has gone to his eternal reward on May 9, 2016 and now rests with God. The Funeral Mass of Fr. Ribes SJ will be on Thursday, May 12, 2016 at 4.30 pm at St. Peter's Church, Hill Road, Bandra West, Mumbai 400 050 and the burial at St. Peter's Church Cemetery. The SSESA blood donation drive held at St Stanislaus High School on May 1, 2016 in collaboration with the school PTA and Holy Family Hospital collected 30 units of blood. We are extremely thankful to the donors who included many parents,teachers, staff as well as ex students. We sincerely thank the school management for their help, co operation and support for the drive. A very special Thank You to our dear Principal Anna for her support to SSESA towards this noble cause. We are extremely grateful to you. This blood donation drive is part of Jesuit Alumni Associations of India (JAAI) all India blood donation drive carried out by JAAI member Associations. Rosette Vaz, ex- teacher of St. Peter's KG passed away in Sydney, Australia on 25 April 2016. Funereal will be held in Sydney. A memorial Mass was be held on 3-May-2016 at 7pm at Sacred Heart Church, Santa Cruz. May she rest in peace. Admission is open for St. Stanislaus International School (IGCSE) Grade 8. Classes for the IGCSE 8th Standard begin on the 15th of June 2016 Classes and Practical Experience will be held in St. Stanislaus High School and in St. Joseph's Convent for the First Year. As planned, SSESA members, Charles Dias, Ronald Mascarenhas, Royce D’Silva and Terence de Souza, representing SSESA, visited the Gnanmata Adivasi School, Uplat, Talasari on 1st November 2015 and interacted with Frs. Malcolm Nato and Joaquim Tellis on the progress of construction of the new School building. We were told that the children are anxiously waiting to attend classes in the new building. During our on-site review, we observed that 75 percent of the work has been completed. We were given to understand that this would be the first structure of its kind in the area and they are hoping that it will be completed before the beginning of the next scholastic year. We are hopeful for them too! In keeping with SSESA’s desire to brighten up the lives, at Diwali, of the underprivileged Adivasi children through education, we presented them with Rs. 2 Lakhs, from donations received from ex-Stanislites, towards part-payment of the costs for benches and desks being fabricated for the School. The total cost of the School furniture is estimated at Rs. 11 Lakhs. We optimistic of getting there through further generous donations from you, our ex-Stanislites! On this visit to the Uplat, it was a pleasure to be accompanied by Charles Dias’ charming daughter, Divya, who is gainfully employed with game creation and development. She has volunteered to extend her expertise in this field to make study for the Adivasi kids more interesting, through gaming techniques. Divya and a group of like-minded friends/colleagues will be visiting and interacting with the teaching staff and students of the school, on this matter. So guys, that’s it for now! We brightened their Diwali. Let’s do it for Christmas too! The kids at Gnanmata Adivasi School definitely need more assistance. SSESA can help them immensely, if you do a bit too! Please donate, as much as you can, towards this project! The annual SSESA Independence day inter-Jesuit alumni football tournament was held at St. Stanislaus High School back ground on 15-August 2015. The schools flag hoisting and singing of the national anthem commenced at 7.45am. The football tournament began at 10.30am. This year’s tournament was poignant as we remembered JAAB (Jesuit Alumni Associations of Bombay Province) Secretary Mr. Vikram Mavinkurve of Campion Mumbai and St. Xavier’s College Mumbai. The parents of Vikram had instituted the Vikram Mavinkurve fair play tournament and the tournament this year was held in memory of Vikram. This year’s tournament was bigger and better with teams from St. Xavier’s Nashik, St. Xavier’s College, St. Mary’s ICSE, St. Mary’s SSC, Holy Family, Andheri and hosts St. Stanislaus Ex-students Association. Some of the teams fielded two teams which made for interesting football. Friendships were renewed off field but on field the rivalry was intense where alumni played hard but fair football. A MUST READ write up by Shyam B about the Mary's boys doing what they do best!!! On behalf of SSESA, Charles Dias, Ronnie Mascrenhas, Royce D’Silva and Terence de Souza once again visited the Uplat campus, run by the Jesuits, in keeping with the association’s ongoing effort to uplift the economically, socially backward and underprivileged rural/tribal children, through education. In support of this project, we donated a sum of Rs. 55000 to Fr. Malcolm Nato. On a previous visit to the Uplat campus on 22nd February 2015 a sum of Rs. 20000 was also donated. The small, single level school structure, which previously served their needs, was demolished in 2014 to make space for a bigger, ground plus two floors, school building to accommodate their growing requirements and house more students. We observed rapid and remarkable progress on the construction work of the new school building (pictures below), designed to accommodate 400 students. The total cost of the project (building, teaching aids, furniture, etc) is estimated at Rs. 3.25 crores. The classrooms in this building are greater in number, more spacious with better cross ventilation and natural lighting in comparison to what they had before. Besides, each floor also has toilet of its own. We had the opportunity, to visit the girl’s hostel, managed by the Carmelite Sisters of Charity (Vedruna). The girls were briefed by the Mother Superior, of SSESA’s valuable contributions to the Uplat project, over the years. Students of the school, all hailing from the Warli adivasi tribe, performed an impromptu tribal dance as a token of appreciation for all the assistance SSESA has been providing them to fulfill their dreams! SSESA would not be able to do what we do without help and support of people like you. If you can, please make a monetary donation towards this project. We have to inform our alumni with regret about the passing away of Master Salim Zakaria our former Hindi and Marathi teacher on 17 April 2015. Master Zakaria was also former Municipal Councillor and MLA from Bandra West. He was also Education Minister in 1992-93 in Govt. Of Maharashtra.